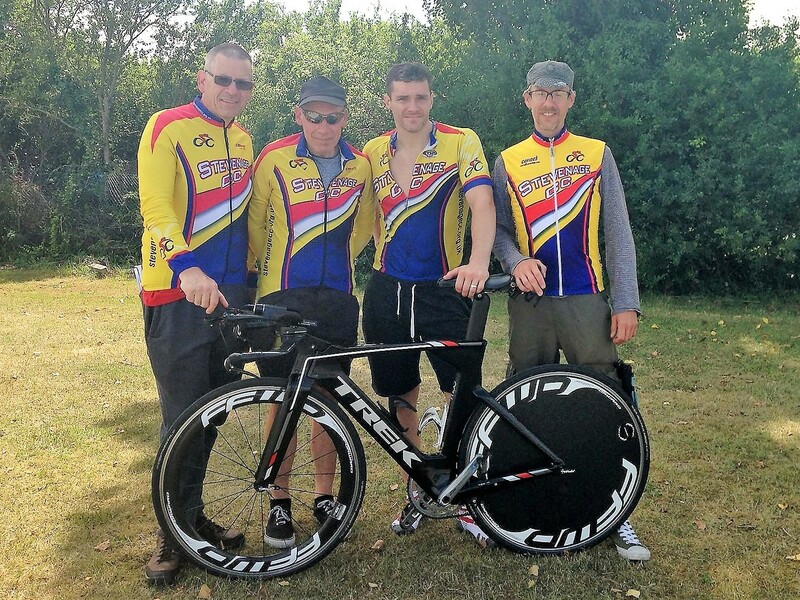 On 22nd July, Stevenage Cycling Club’s Joe Gorman completed his mission to break the club’s 31 year old 24 hour distance record. This was at the National CTT 24 hour Championship organised by Mersey Roads Club. After months of training and preparation, Joe set off on Saturday afternoon with 84 other riders including the current Lands End to John O’Groats record holder. Supported by fellow club members, Gary Smithson, Dave Lowson, James Hatchett and partner Charlotte, Joe rode on through the night with only occasional stops for food and drink. On Sunday morning, with no sleep and the effort to maintain his target speed taking its toll, Joe’s support team kept him going to the end with cheese toasties and encouraging words. Joe achieved a staggering distance of 455.5 miles and 9th place.